Visiting other orchards is always a delight, even in the winter weather. 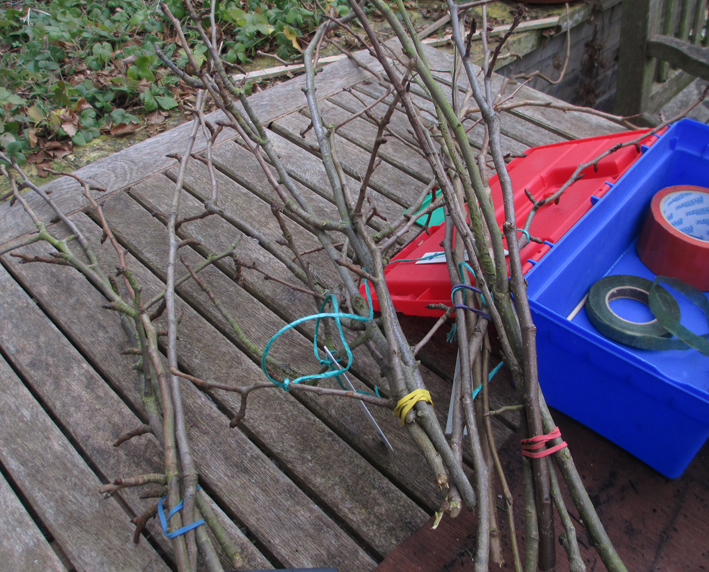 This time, I was practicing my grafting skills by helping to take grafts from some veteran pear trees. If you have an old tree, grafting is a good way of renewing it, and it isn’t something you need to be scared of. As long as you take your time and take some care, it’s very simple. 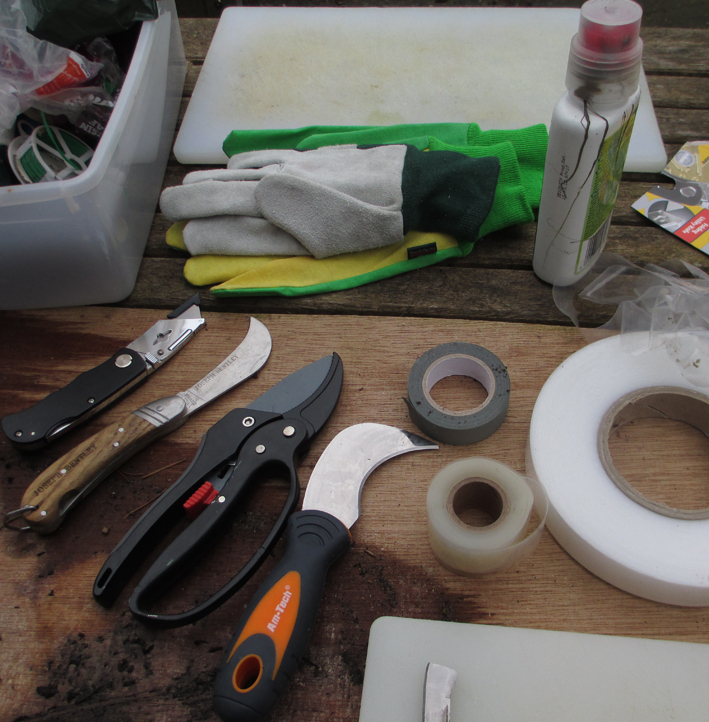 You need some very basic kit – we used a good sharp pruning knife each, some grafting tape and/or wax for holding the graft together, and of course some string and labels so that you can remember which twig was which! Have an old chopping board or another smooth heavy surface to work on. 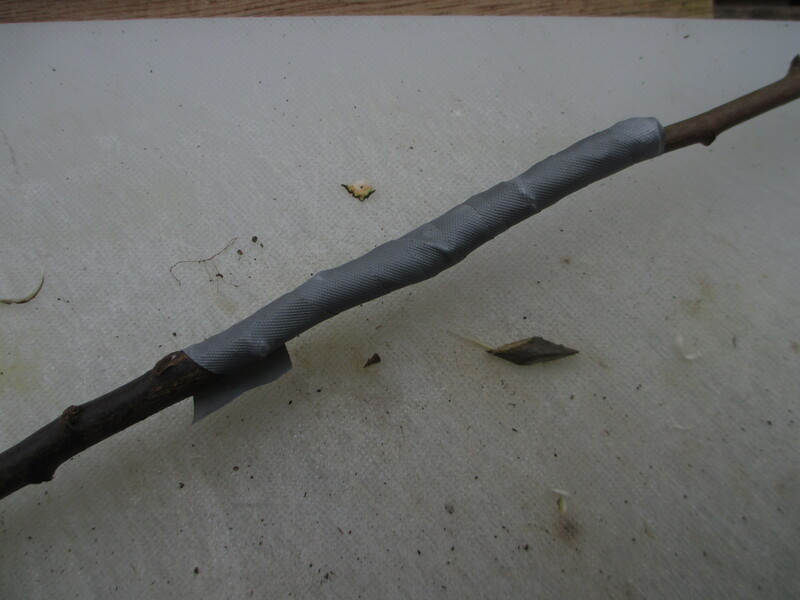 Because we were grafting pears we used quince for the rootstock, and just made a simple slip graft to attach the pear scion. Then it was sealed up tight with tape, making sure there was wood to wood connection all the way along the graft. 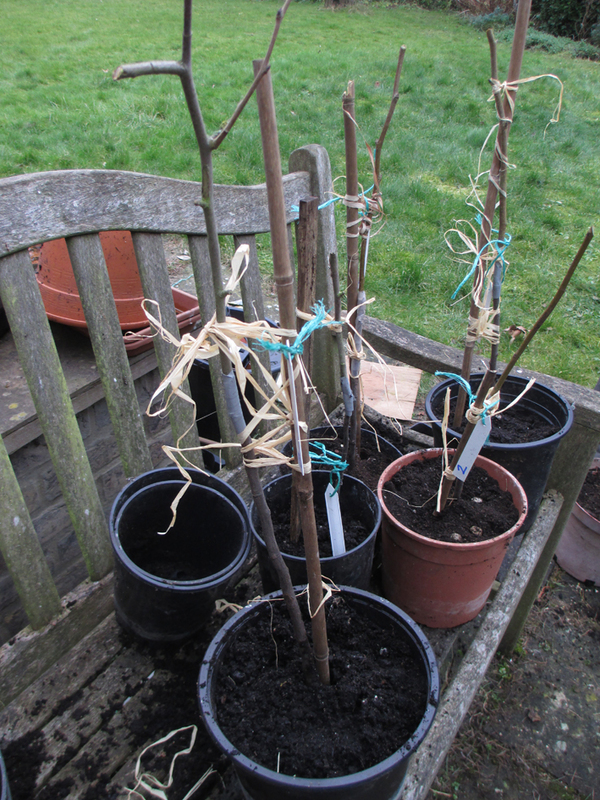 Finally we potted them up, labelled them – and went back into the warm for a cup of coffee and an apple slice!